One of the world’s largest coloured gem producers, the UK based Gemfields Plc will be calling for expressions of interest from local mining companies with a view to establishing an organized supply chain in the renowned Sri Lankan gemstone industry, officials of the company announced. Gemfields will offer support to the Sri Lankan gemstone industry through its technical capabilities, proprietary grading systems and marketing methodologies. Once the supply chain is established, the gems will be offered to international buyers via Gemfields’ proven auction platforms, thereby adding value to Sri Lankan gemstone production, growing the sector and contributing to economic development. Ian Harebottle, CEO Gemfields commented; “We are pleased to start this next phase of activity in the Sri Lankan gemstone industry. World famous for the quality of gemstones, we are optimistic we will be able to bring our proven-expertise to this already-established market for the benefit of local mining communities and the Sri Lankan gemstone industry”. 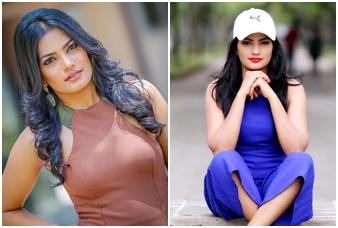 'Lanka E News' has published photos of Batapola Arachchilage Ornella Iresha Silva, a directress of MP Namal Rajapaksa’s NR Consultancy who faces an international red warrant.